Biggest Flat Icons Pack Ever. Each element was designed with vector shapes. Change colors or layer styles, move and re-size every single element in no-time. Clean and fresh flat design, meticulously crafted to challenge the most trained eye. Focus on consistency. 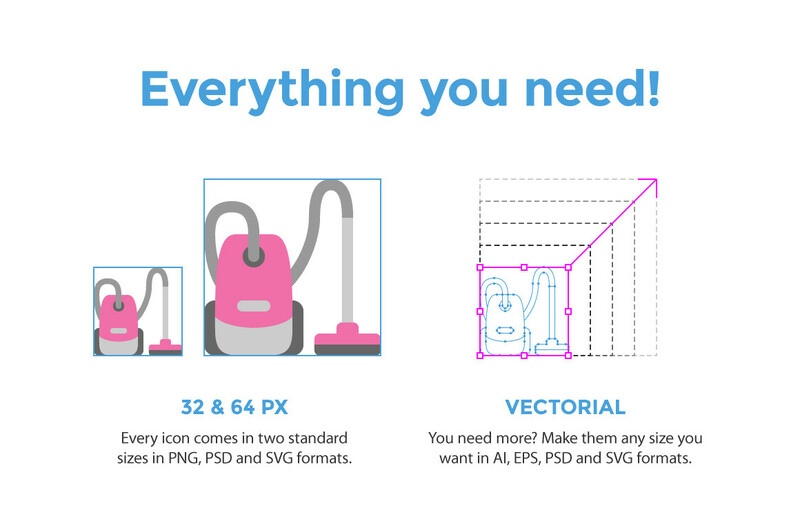 Each element was designed with vector shapes to allow users to easily resize all elements. Use them on your own website. Or use them for your clients. Make your work look its very best with these flat style icons! 50 Sample flat icons in PSD / AI / EPS / PNG / SVG format. Get a taste of how amazing icons look like. 2,000 Full set of Flat Icons in PSD / AI / EPS / PNG / SVG format. Can be used in multiple personal or commercial projects.